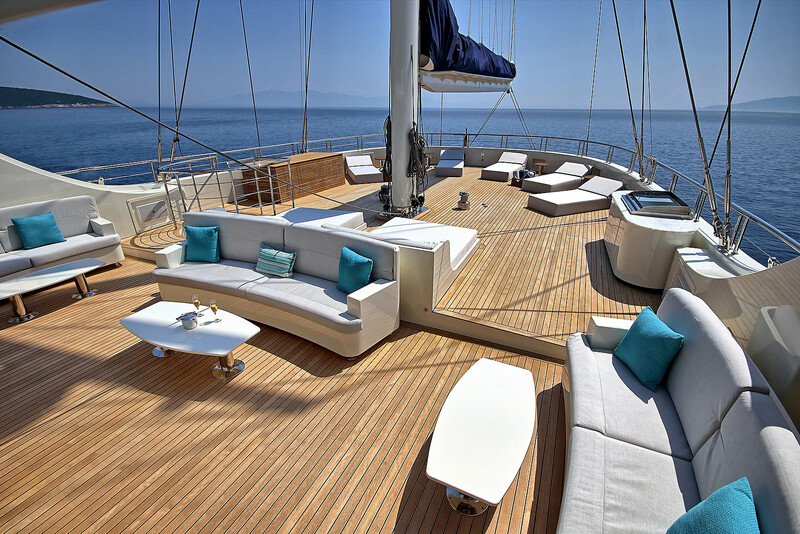 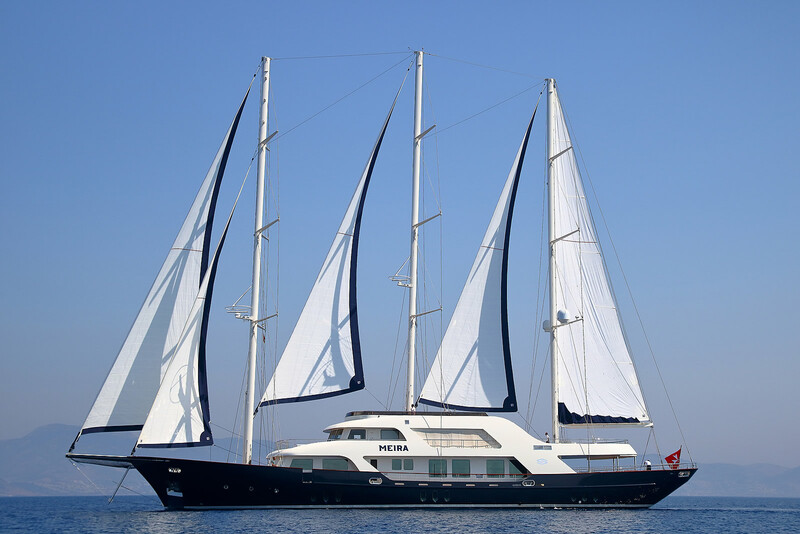 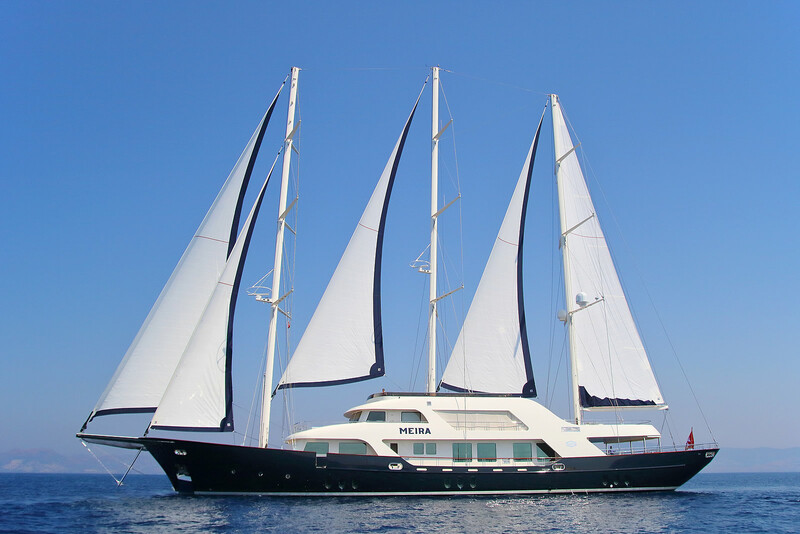 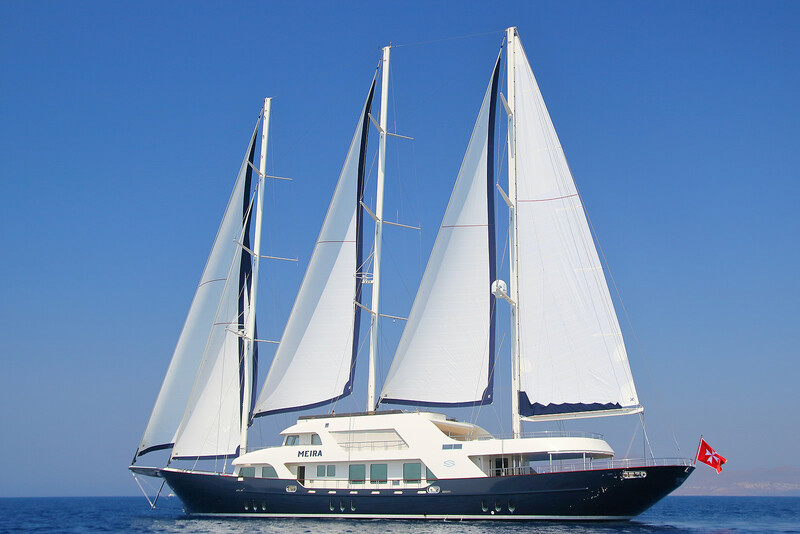 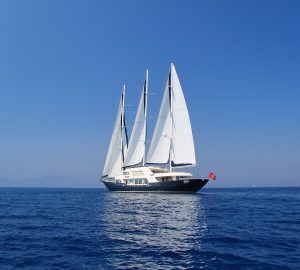 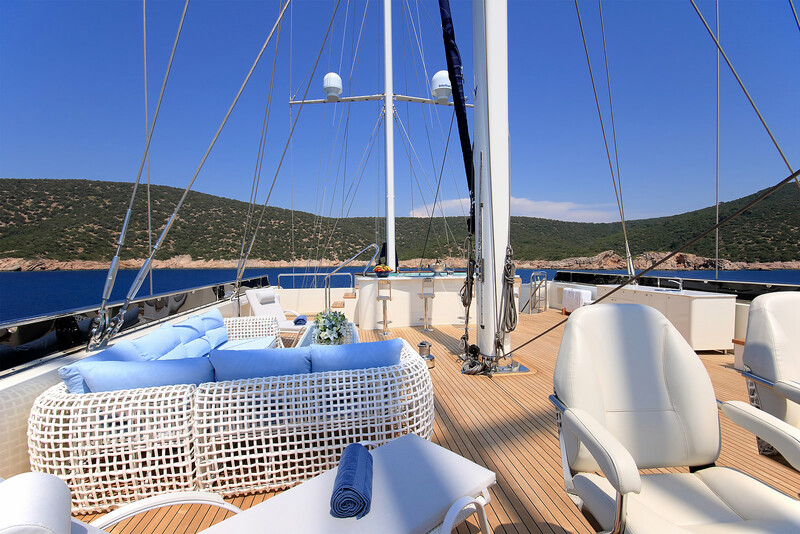 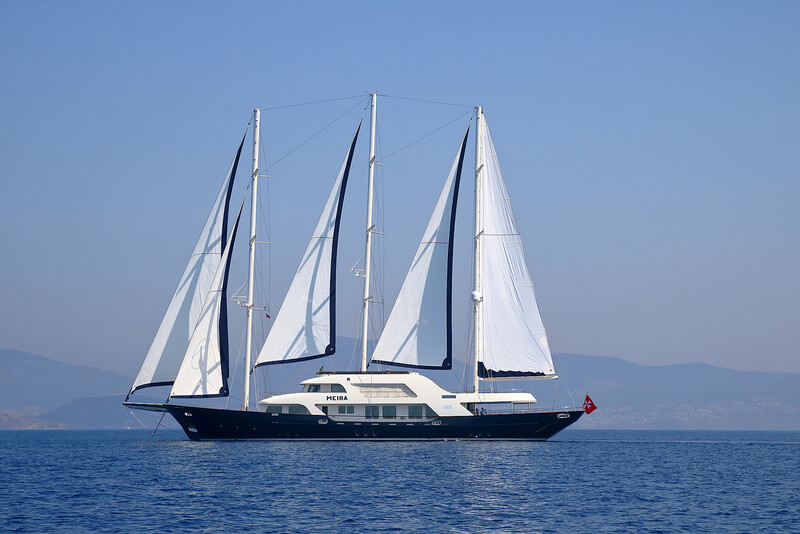 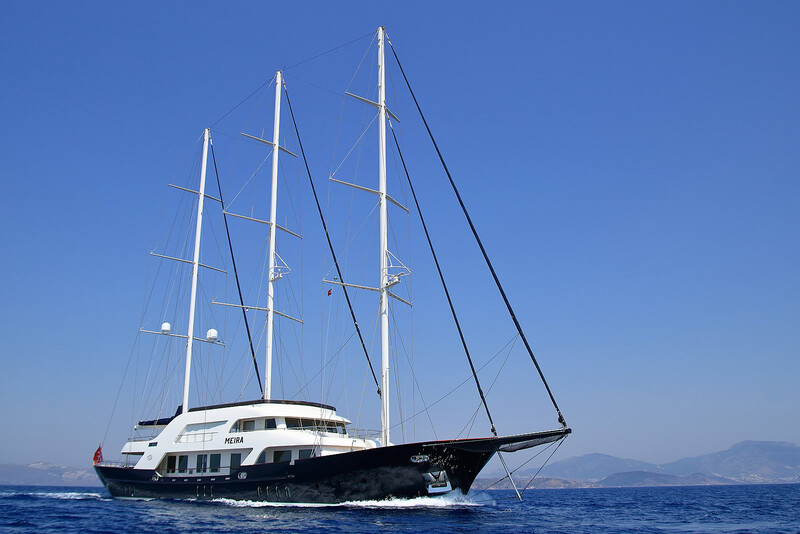 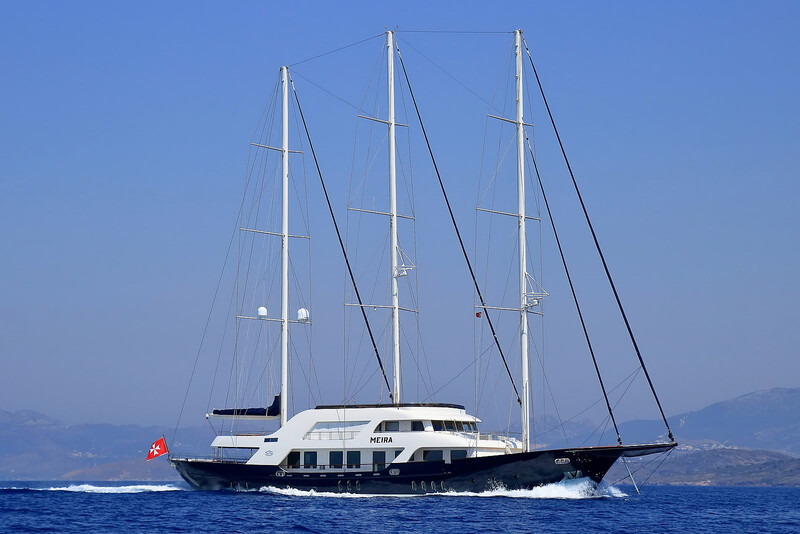 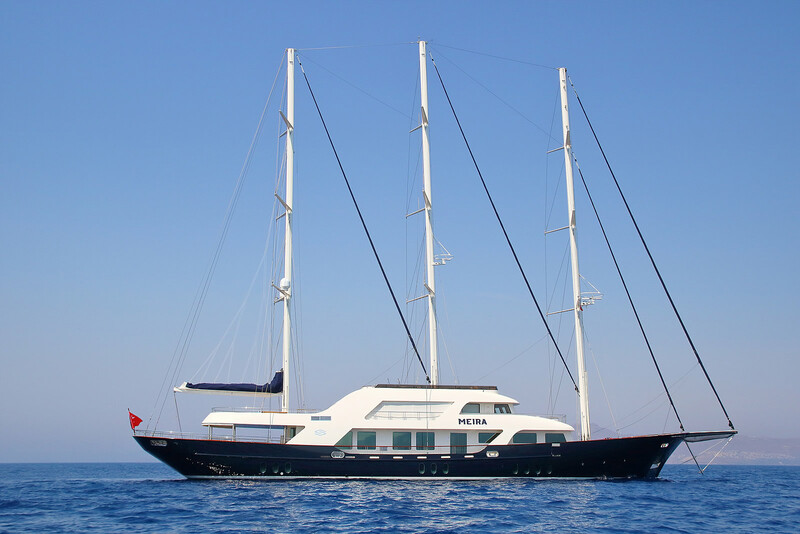 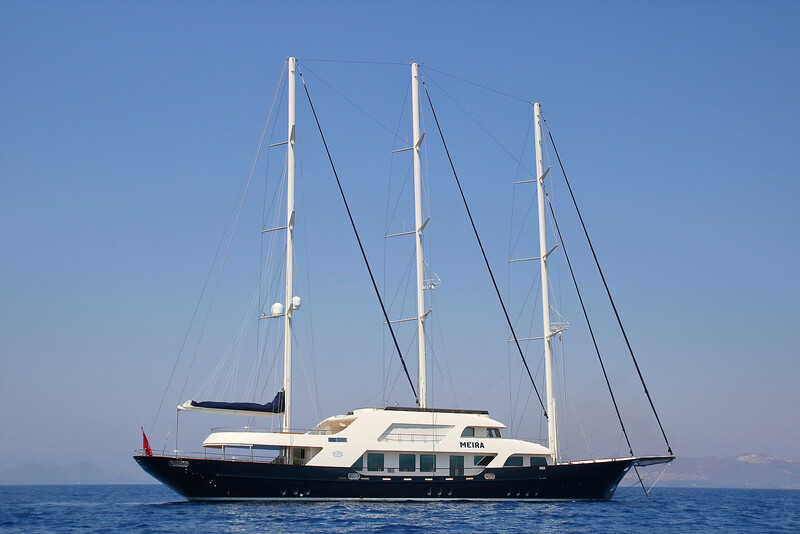 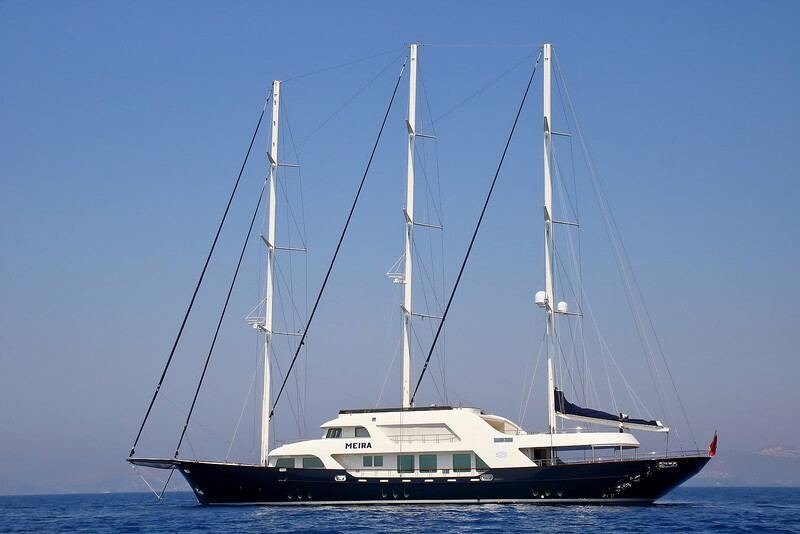 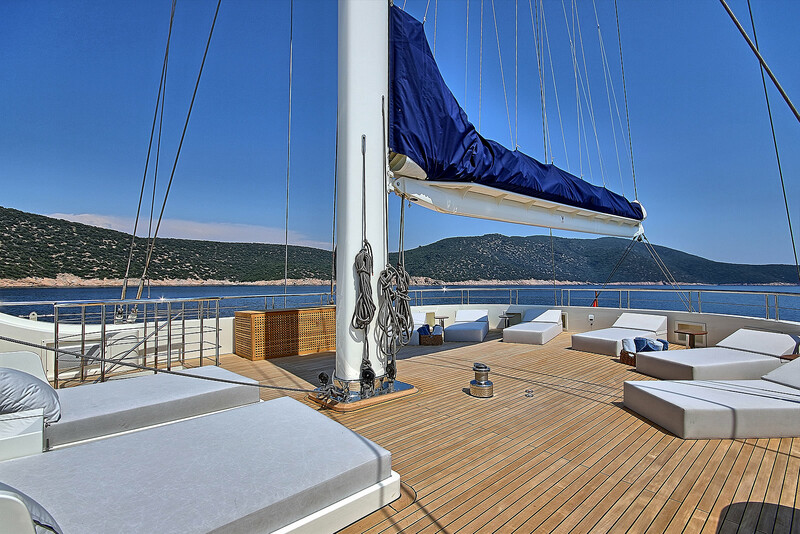 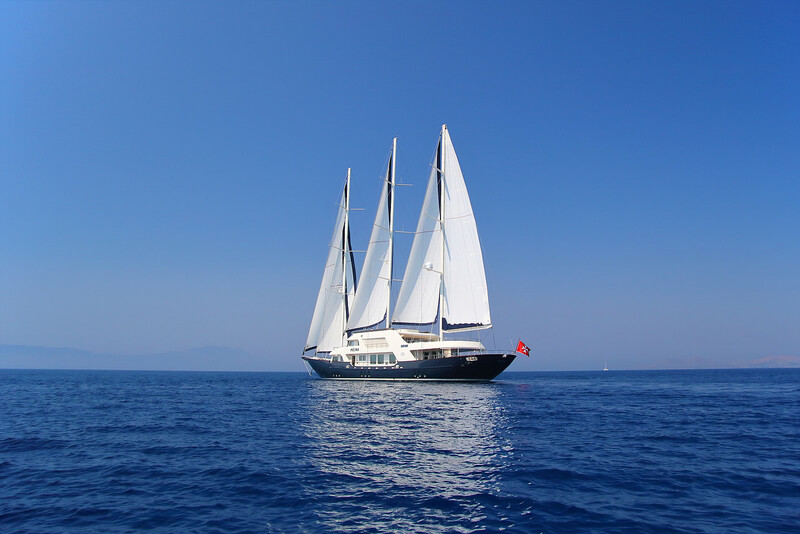 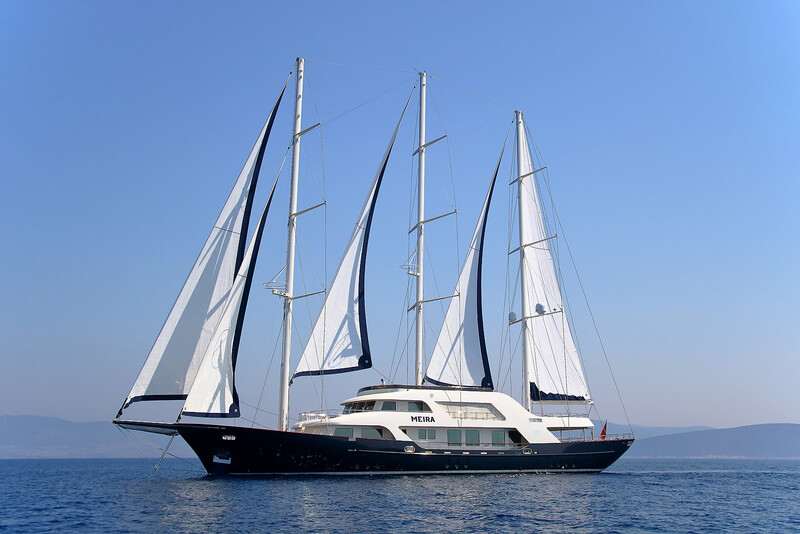 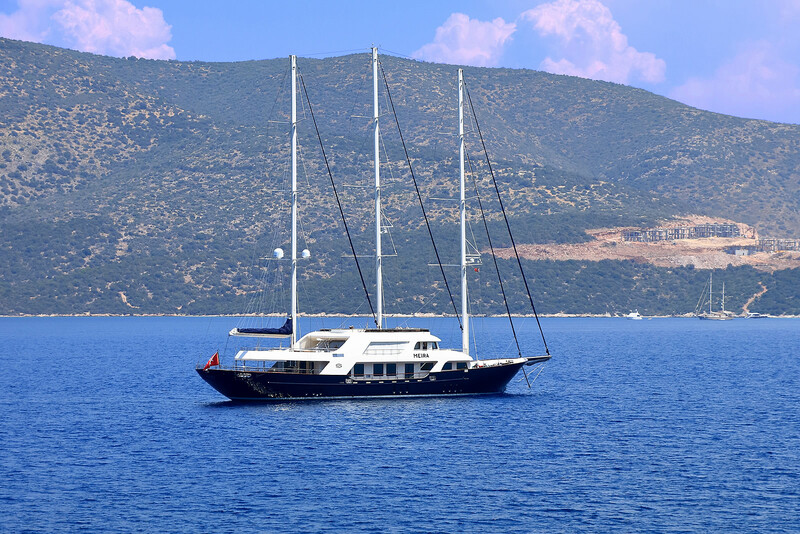 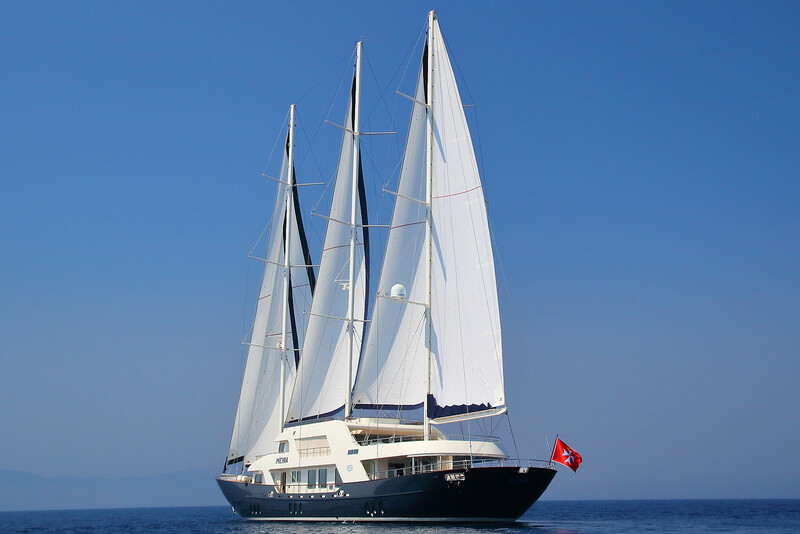 Lavish 50m/164ft sailing yacht MEIRA was built by Neta Marine with a steel hull and aluminium superstructure. 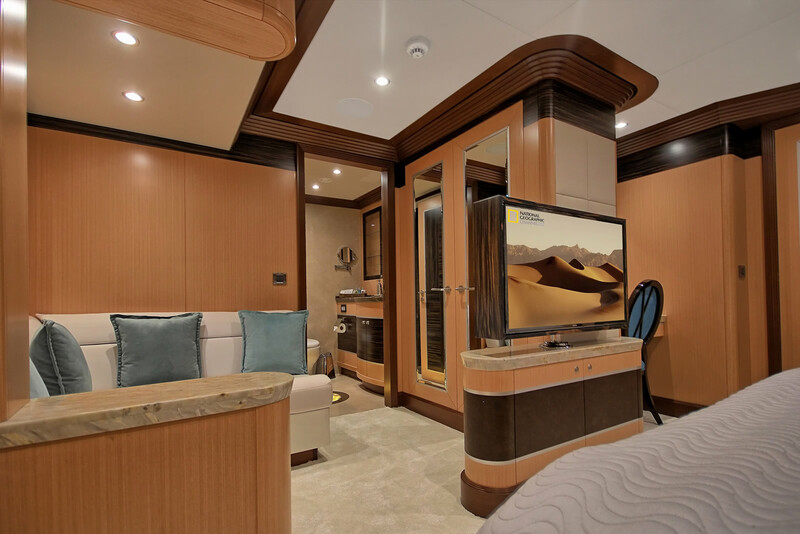 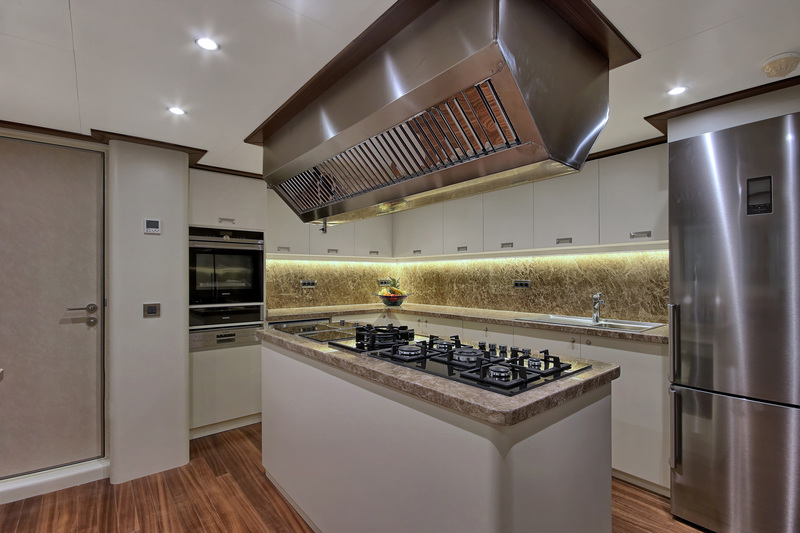 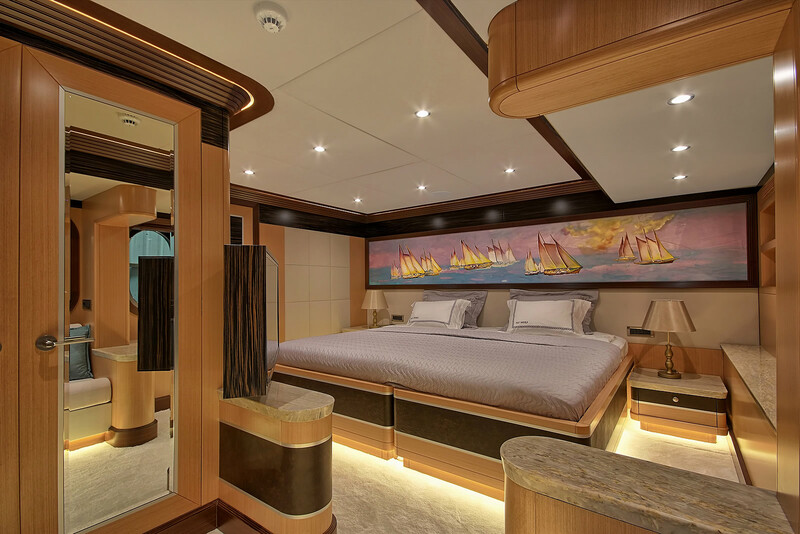 Launched in 2018, this ultra-luxurious vessel features interior and exterior styling from internationally acclaimed British designer Evan K Marshall. 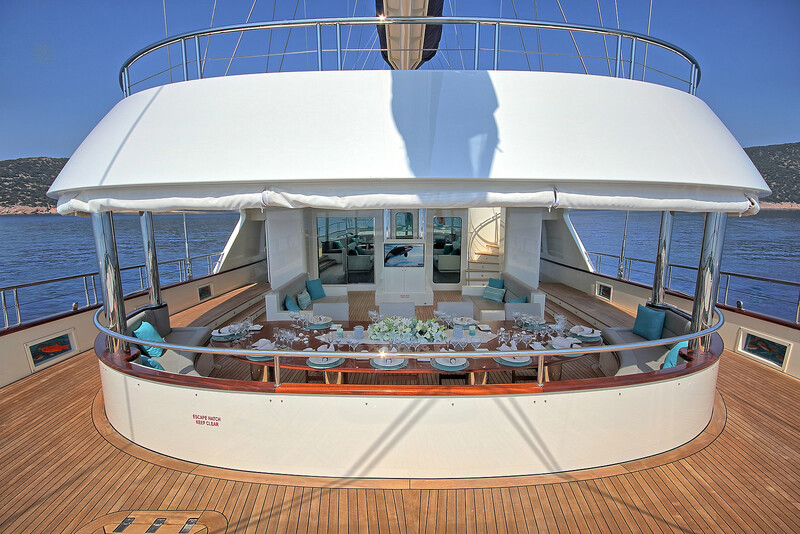 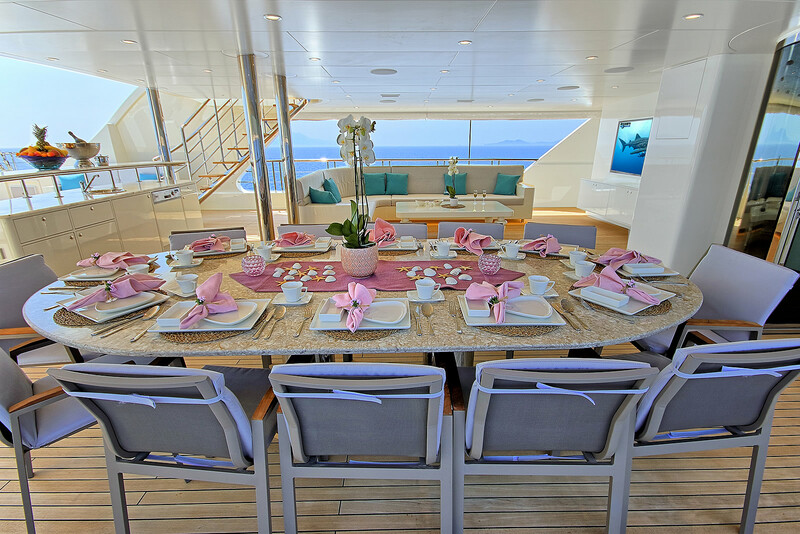 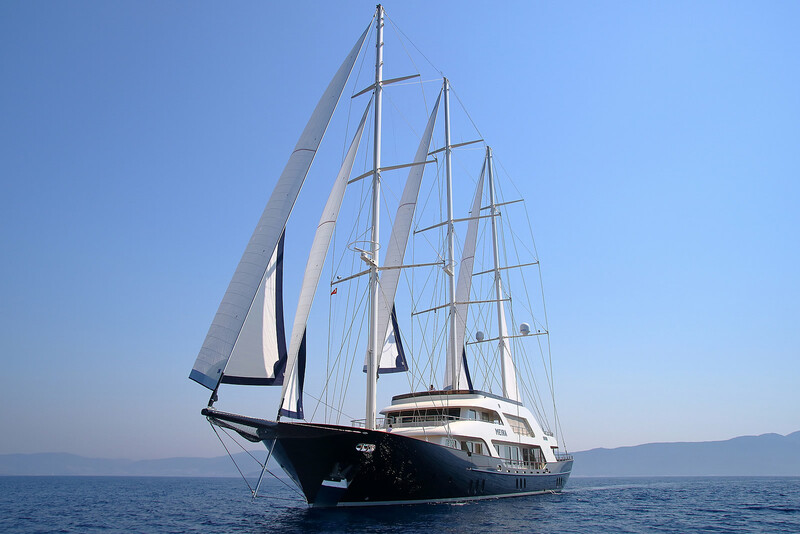 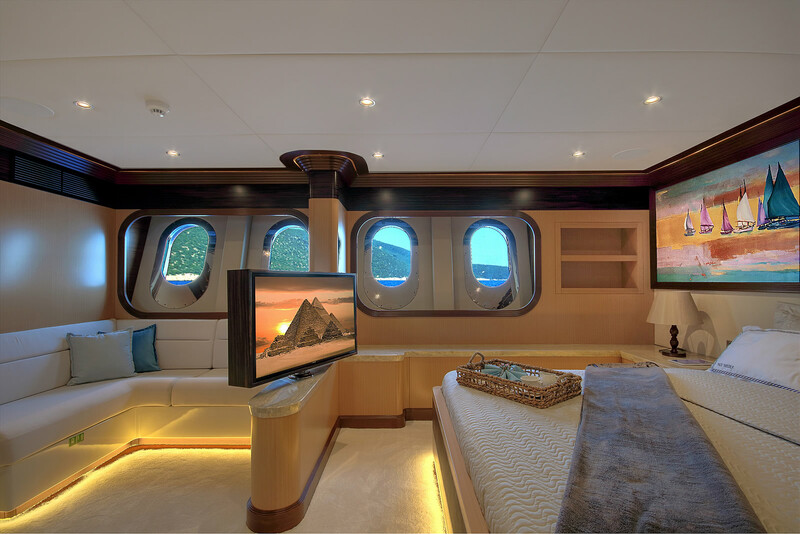 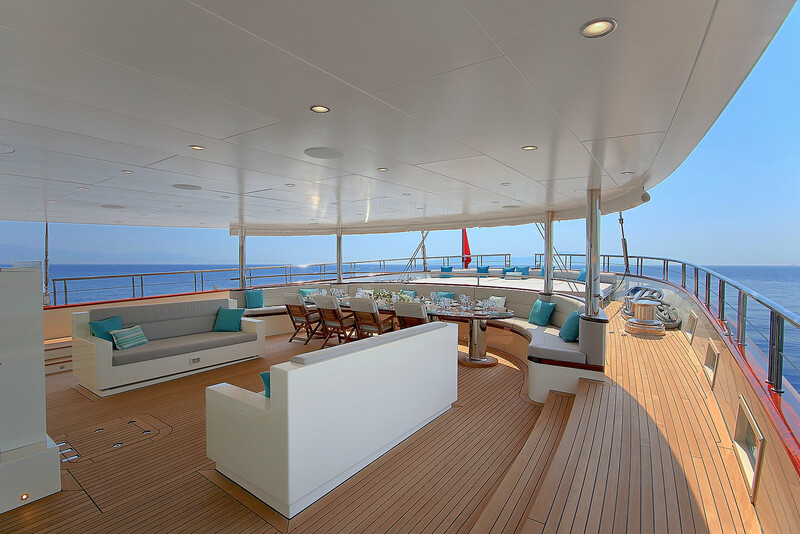 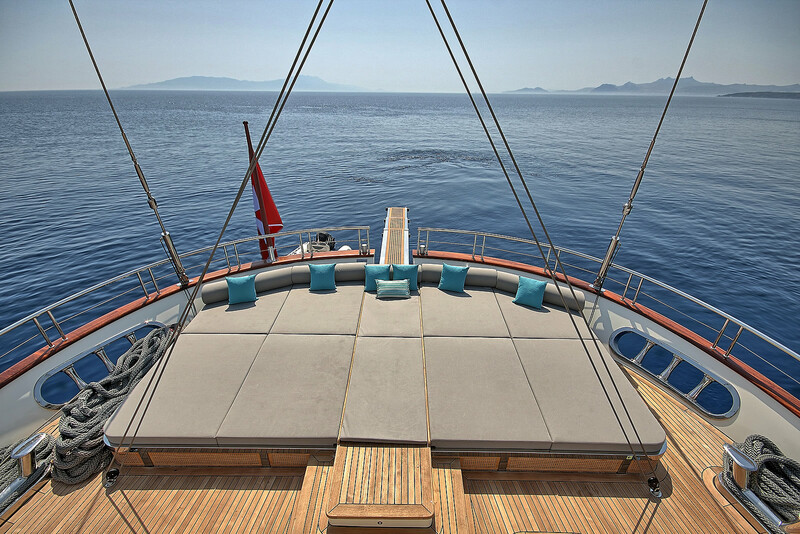 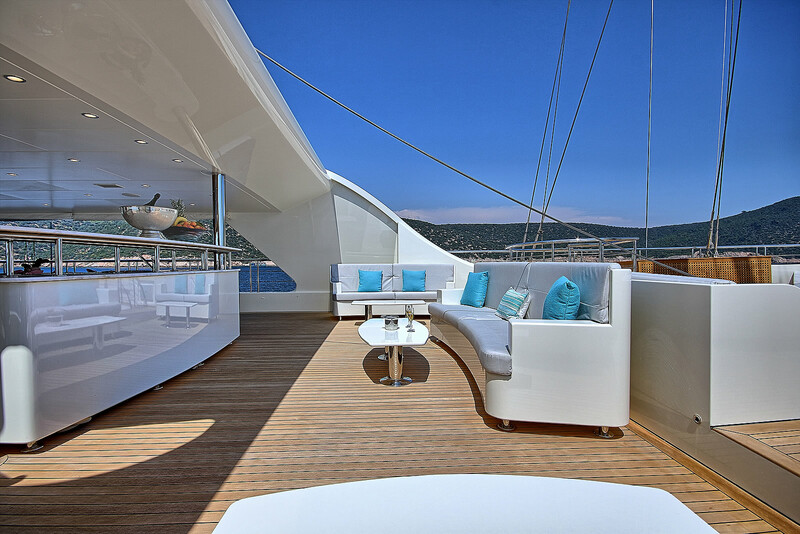 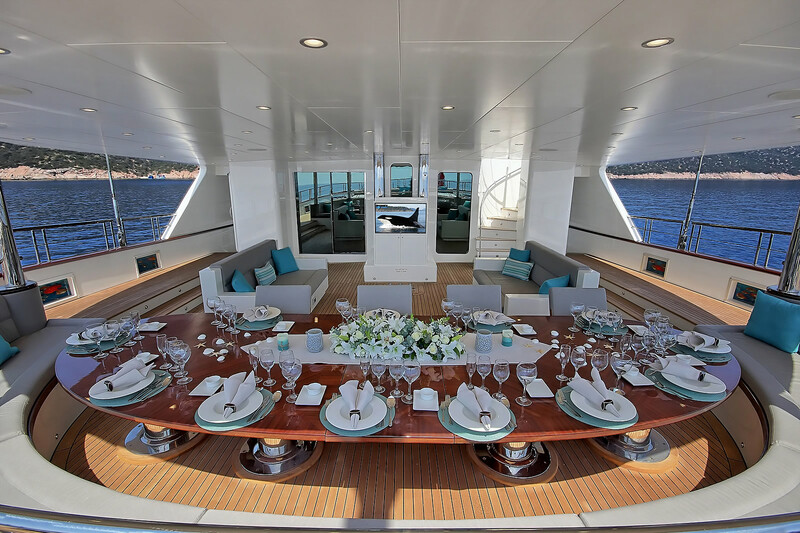 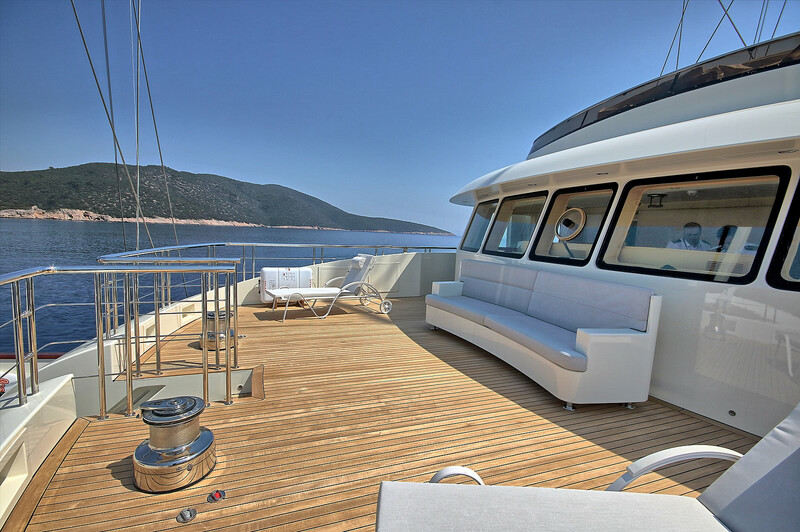 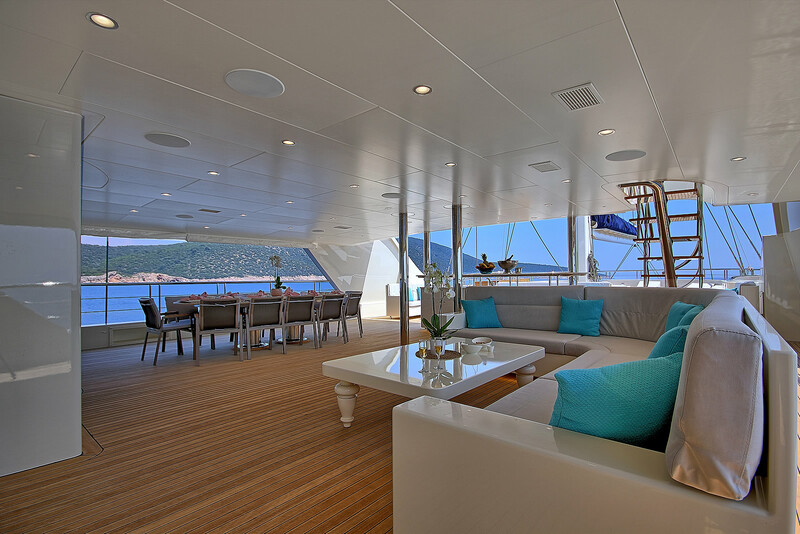 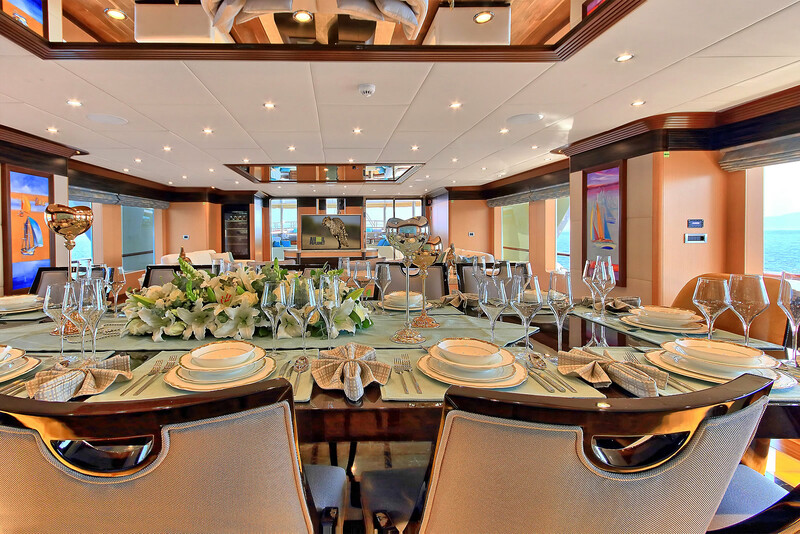 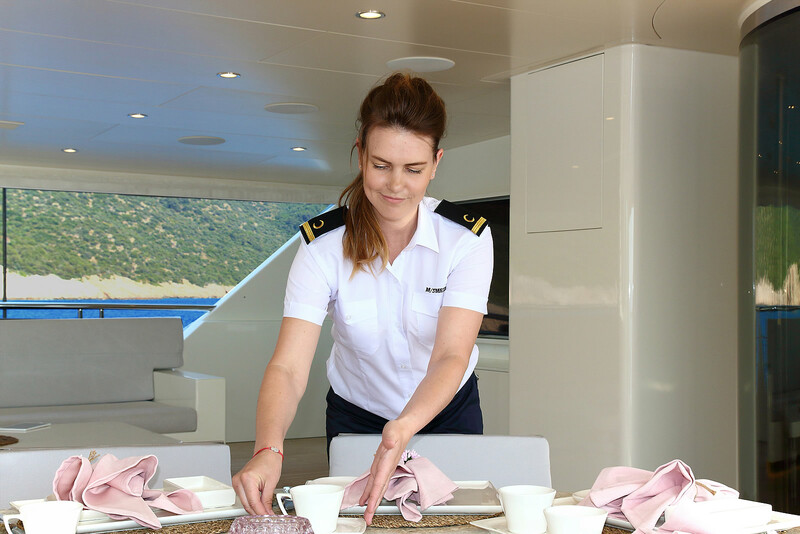 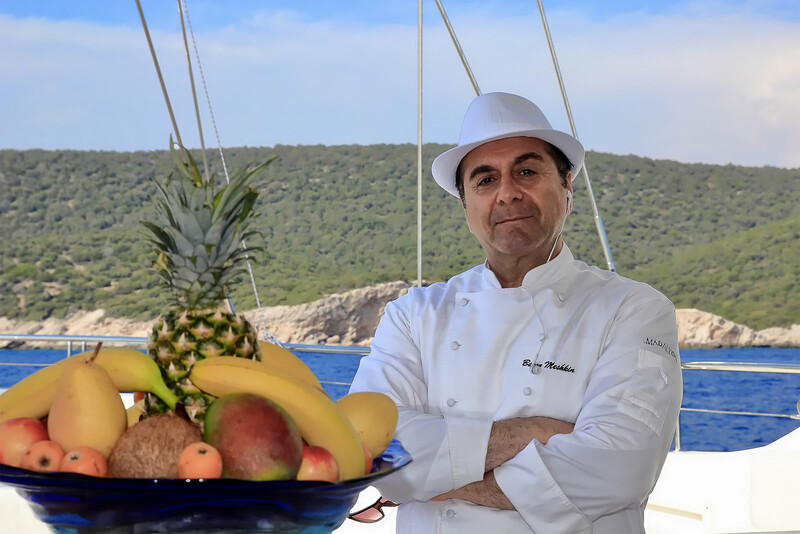 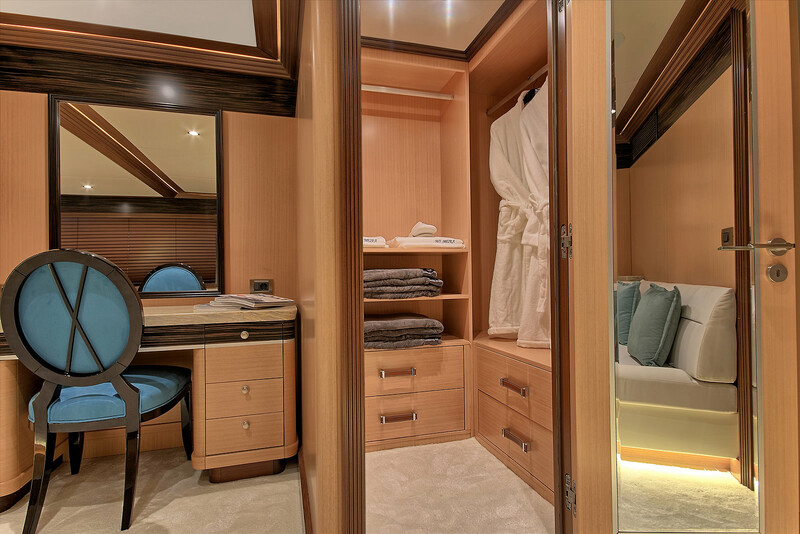 On board, the six luxury cabins accommodate up to 12 guests and she has a crew of 10. 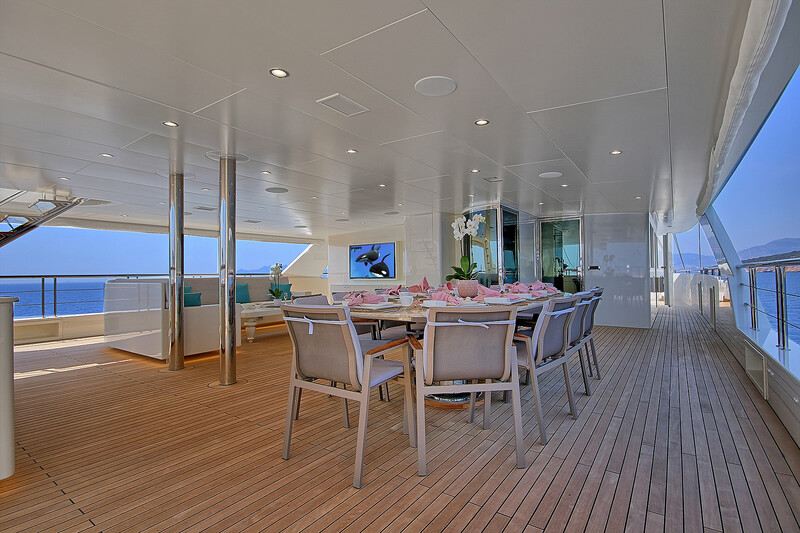 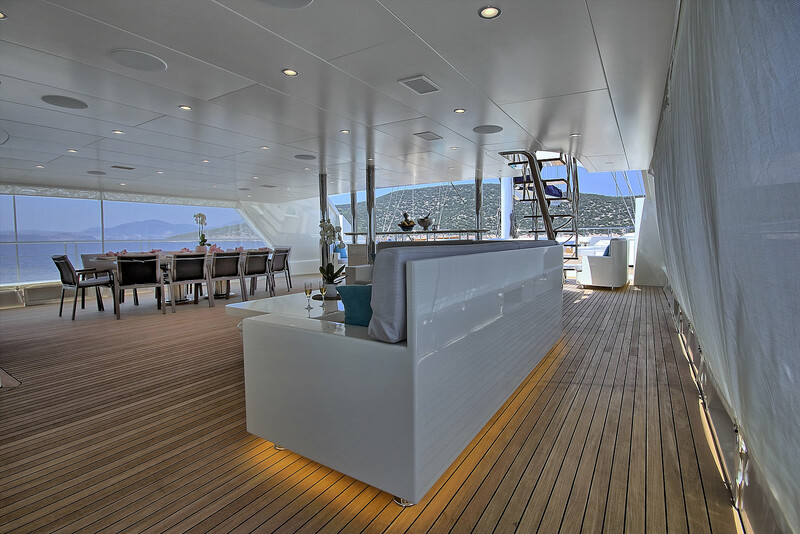 The main deck aft provides a sheltered outdoor area for all-day relaxation and entertaining: around the edges and the stern there is plenty of seating for a large group, while in the centre chairs and large tables create the ideal place for a casual or formal alfresco meal. 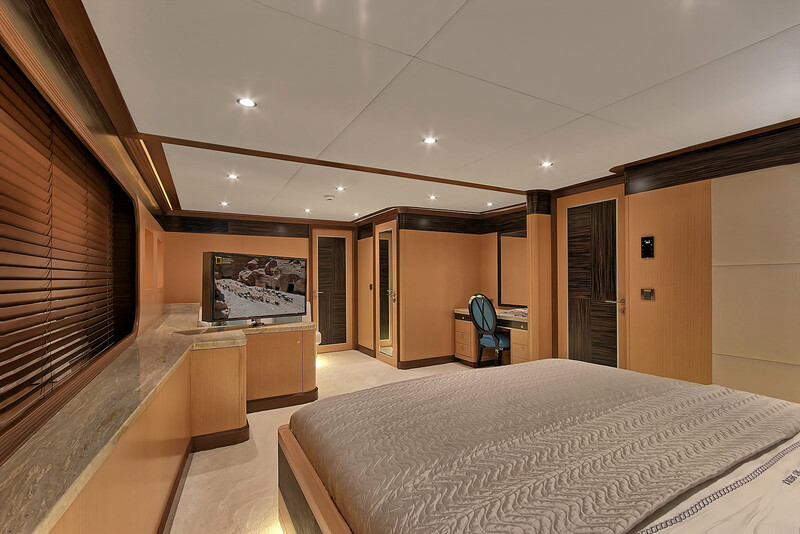 The flybridge has ample room for hosting a dockside special occasion and there is an abundance of seating placed along the port and starboard balustrades and around the stern. 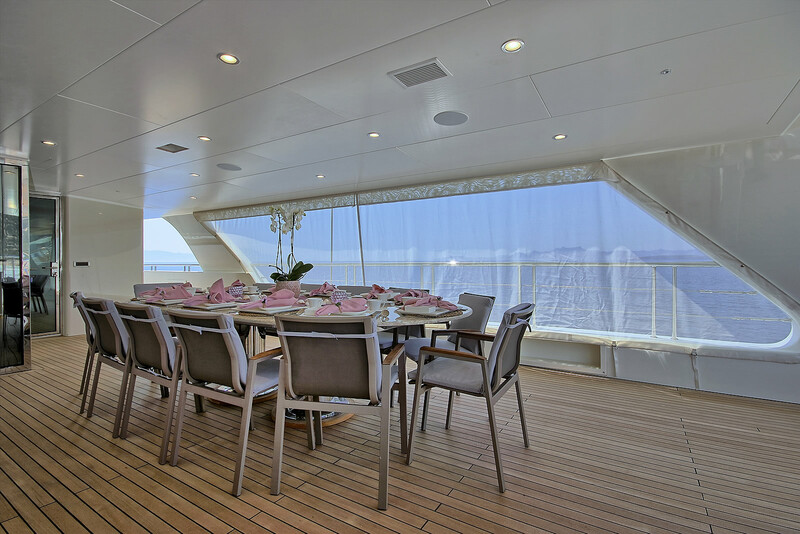 An alfresco dining table allows up to 12 guests to savour a meal in picturesque surroundings, after which everyone can rest in the sunbathing spots and soak in the sunshine. 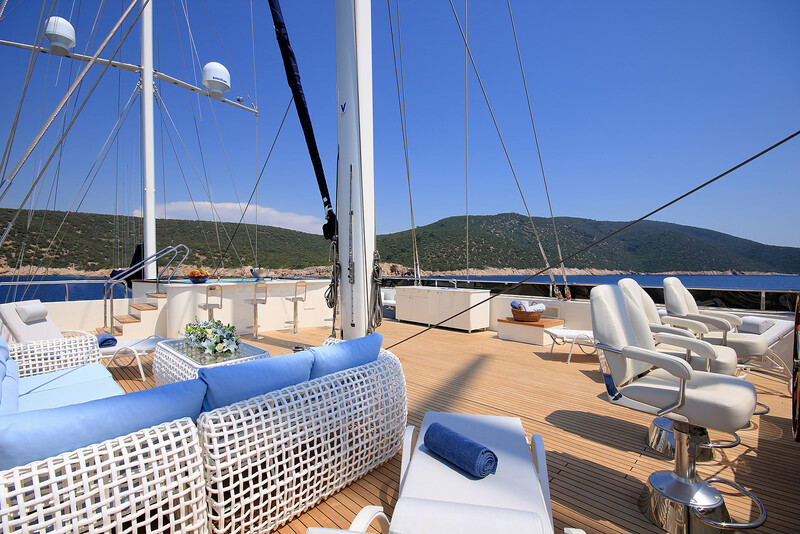 On the sundeck, there is a massive Jacuzzi with swim-up bar, plus an L-shaped outdoor salon and sun loungers. 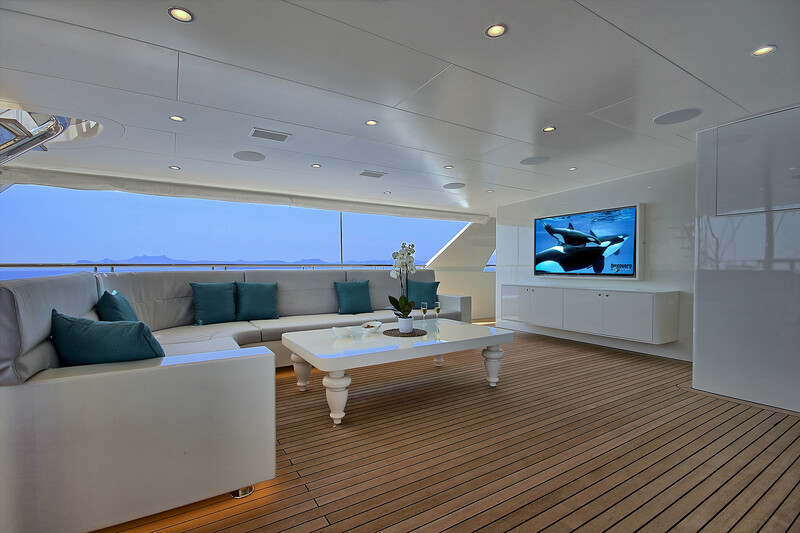 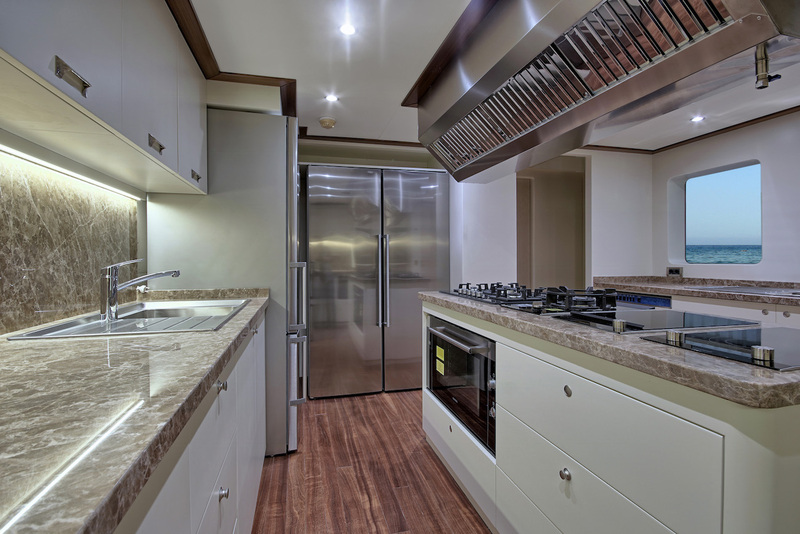 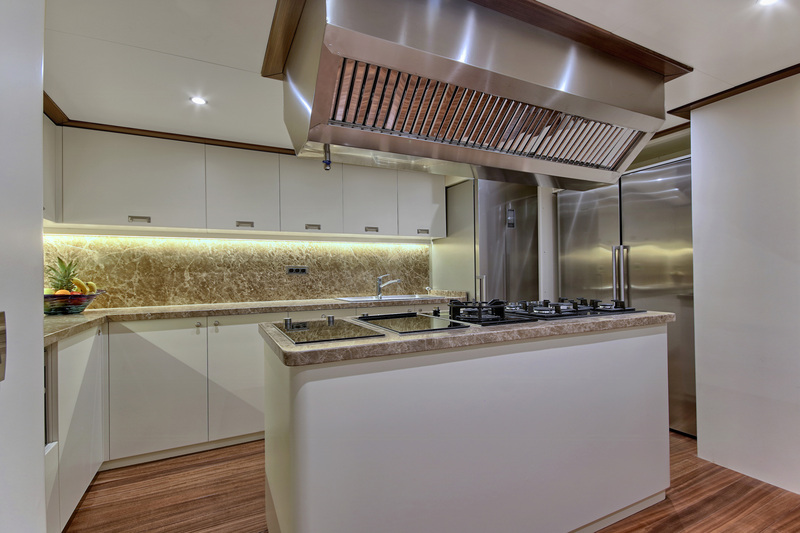 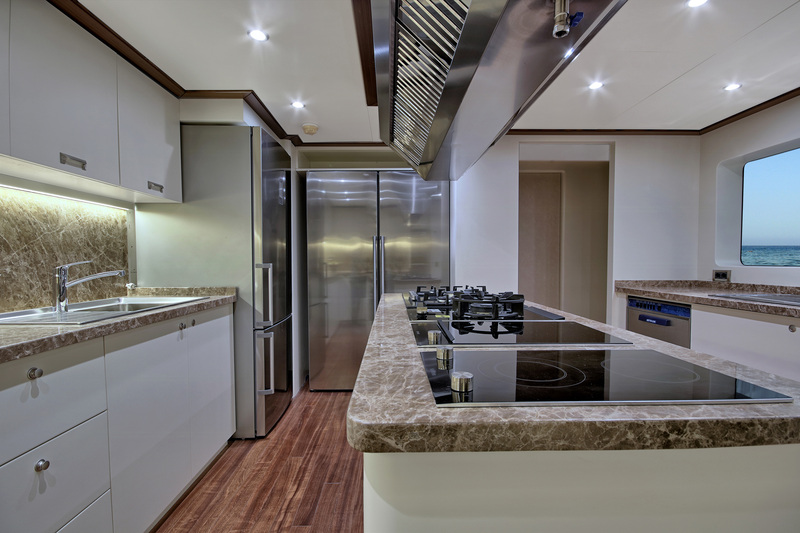 The lavish interiors are designed with the highest quality materials for a desirable contemporary environment. 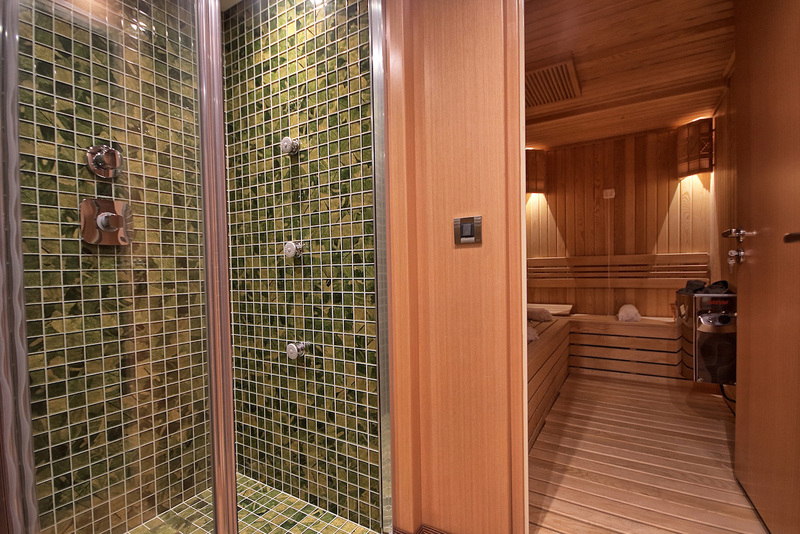 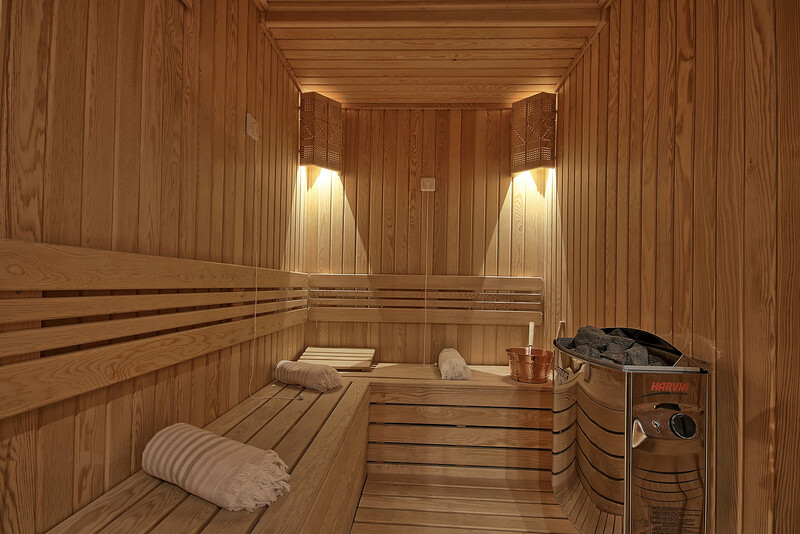 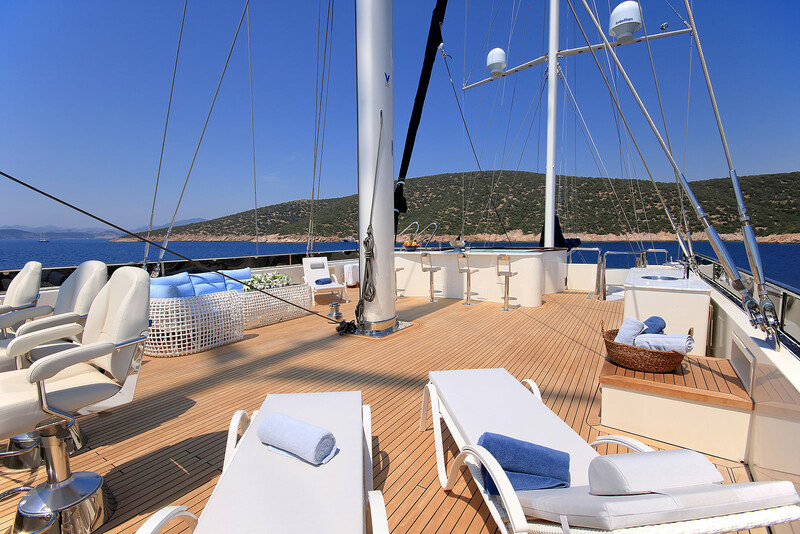 On the lower deck, there is a spacious aft beach club that contains a massage room and sauna. 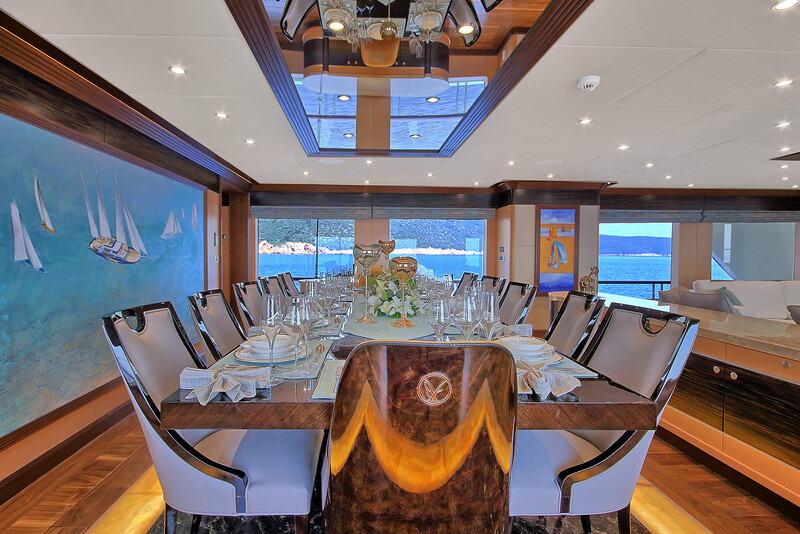 The main salon and formal dining area form one large open space that is decorated in Ebony and Aningeria wood with beautiful marbles and leathers for a refined finish. 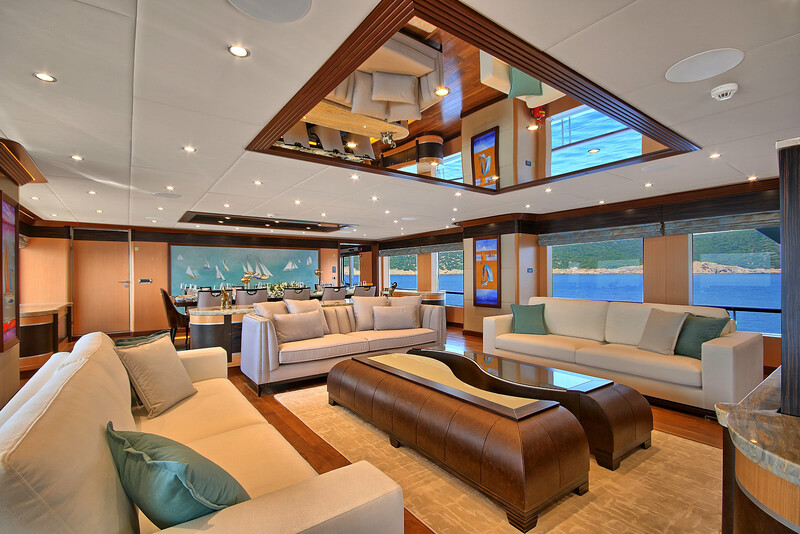 Extensive windows enhance the room with plenty of natural light, which is increased further through mirrors on the ceilings. 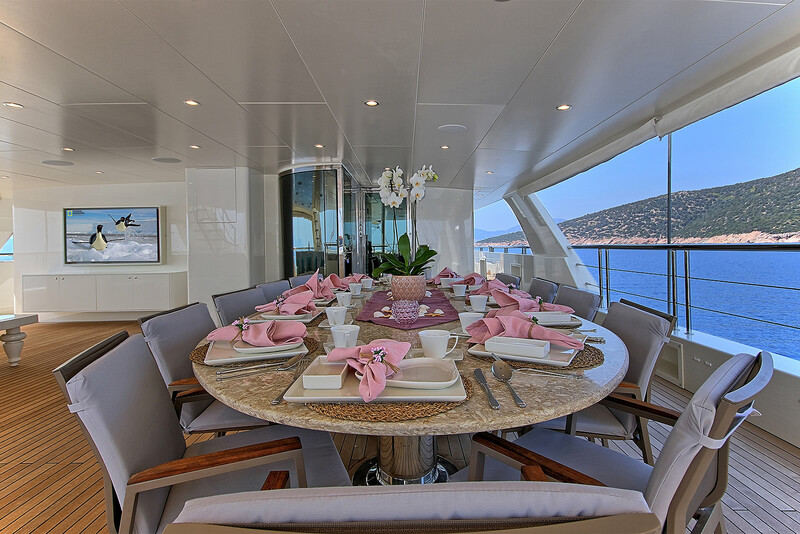 The formal dining area seats up to 12 guests in comfort surrounded by grand modern artwork, while the salon offers cutting-edge entertainment as guests rest on the sofas and relax in the air-conditioned interior. 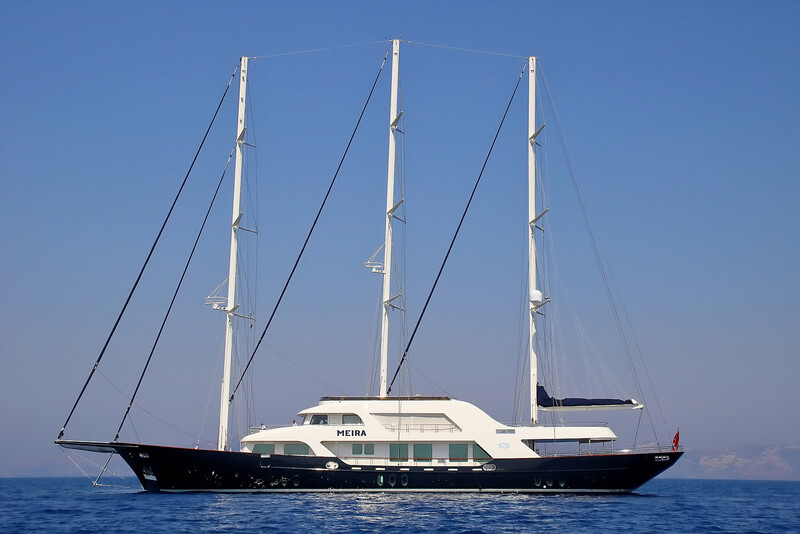 2 x MITSUBISHI 776 kW engines each producing 1040 HP allows for a top speed of 14 knots and a cruising speed of 12 knots. 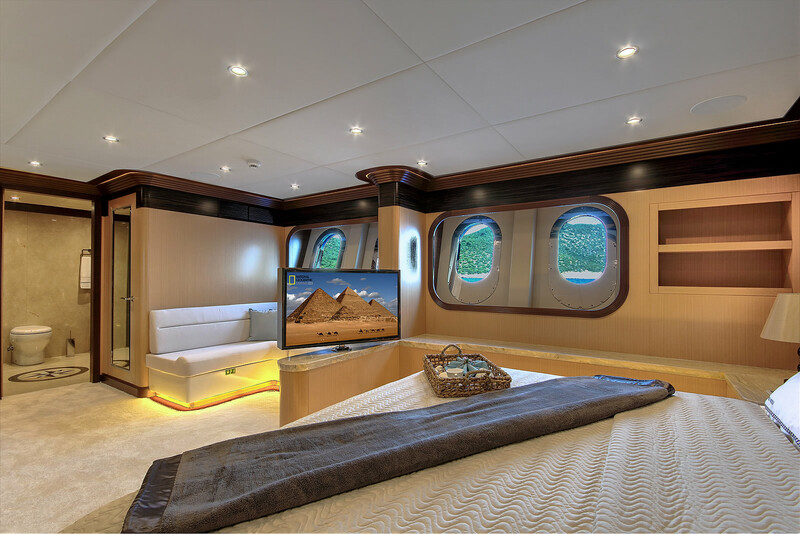 The accommodation sleeps a maximum of 12 guests across 6 cabins: 1 Master suite, 3 VIP staterooms and 2 twin cabins convertible to doubles. 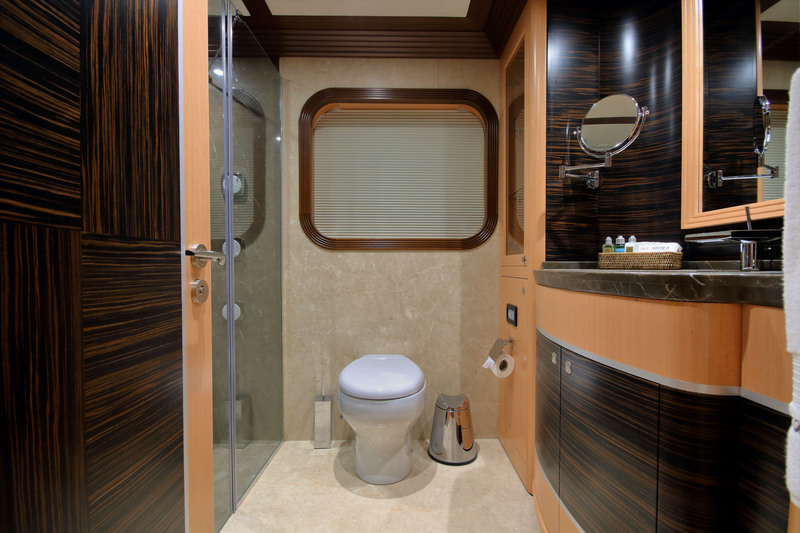 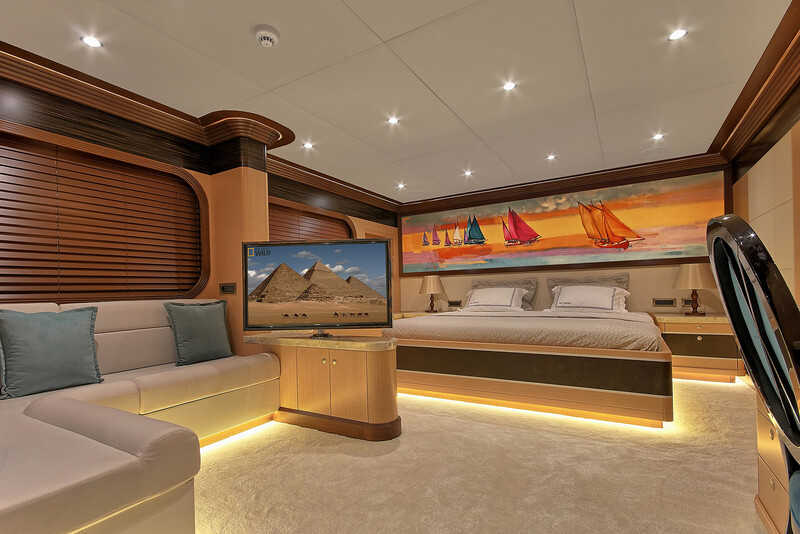 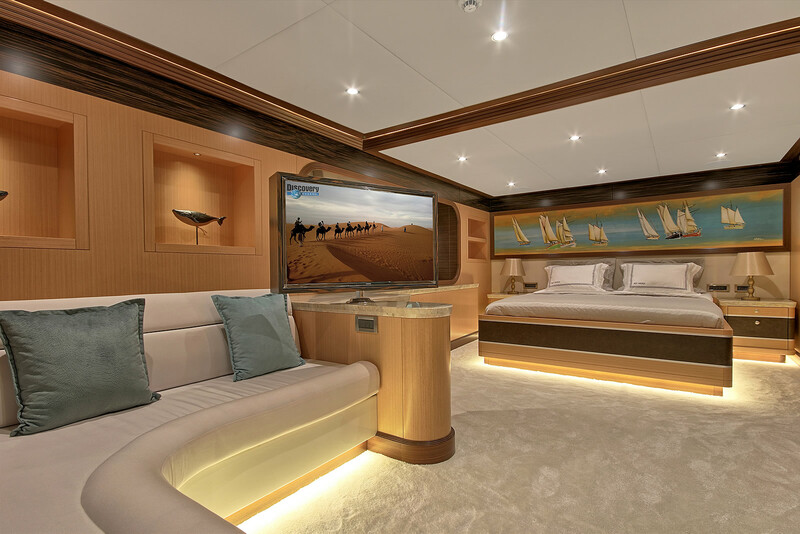 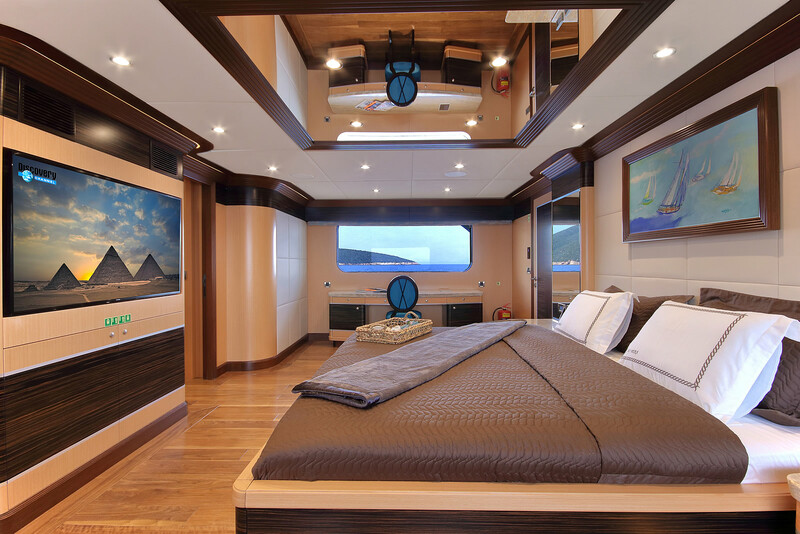 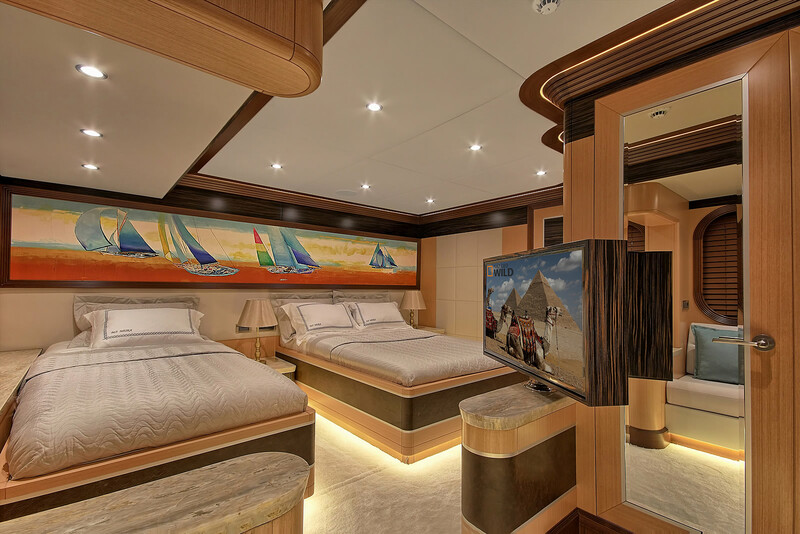 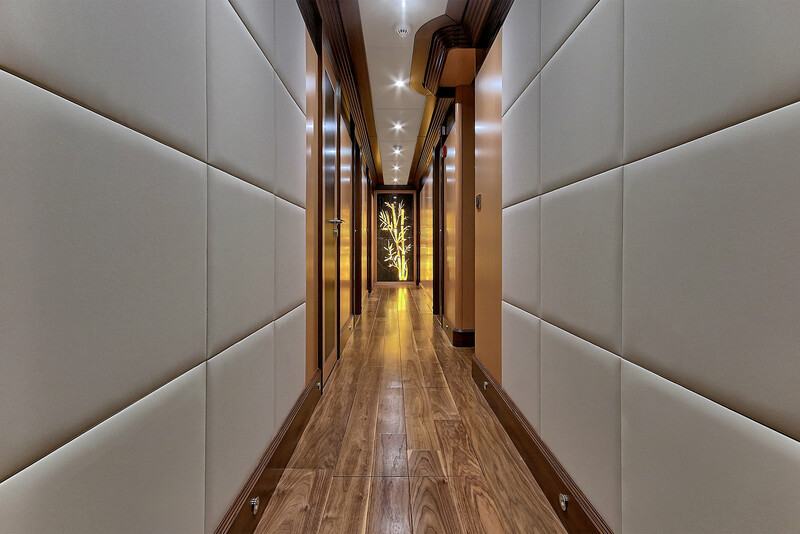 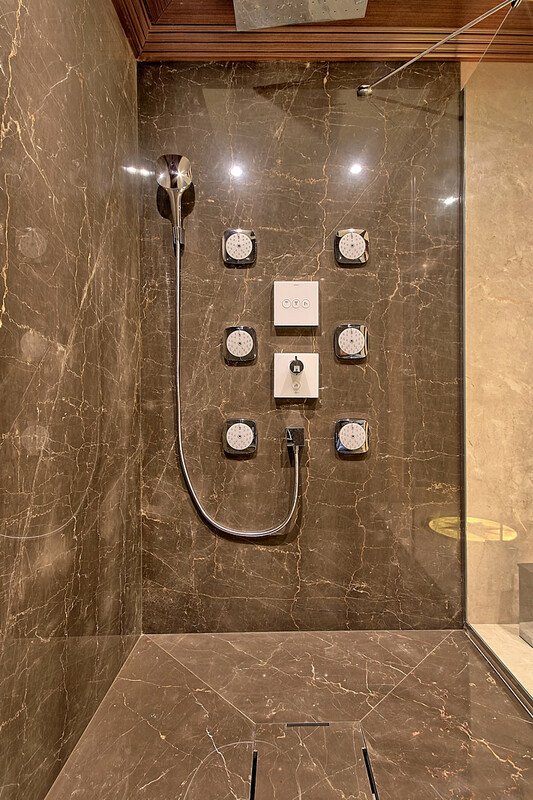 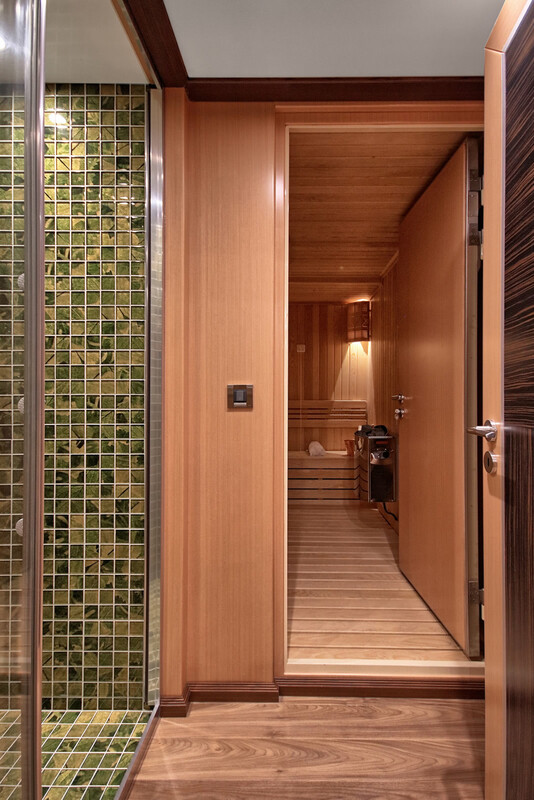 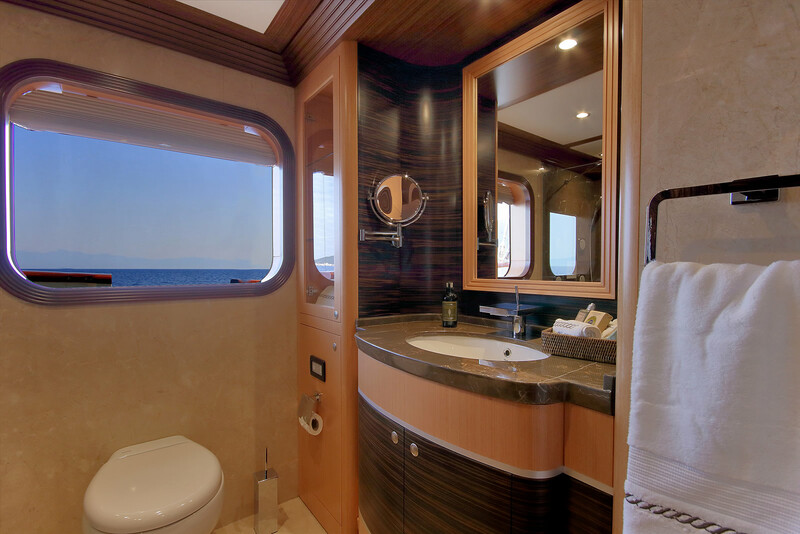 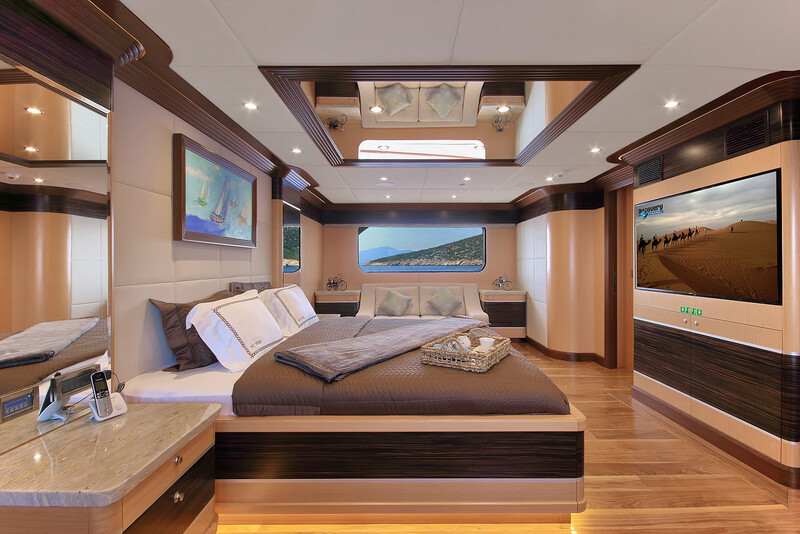 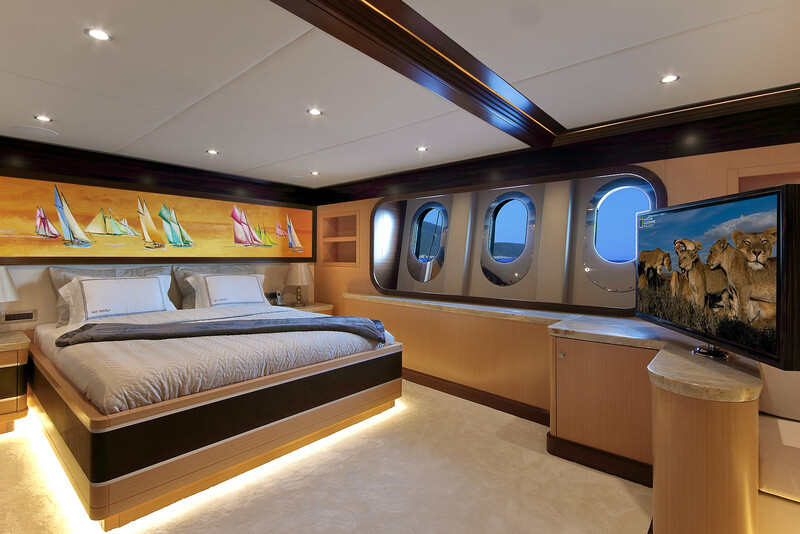 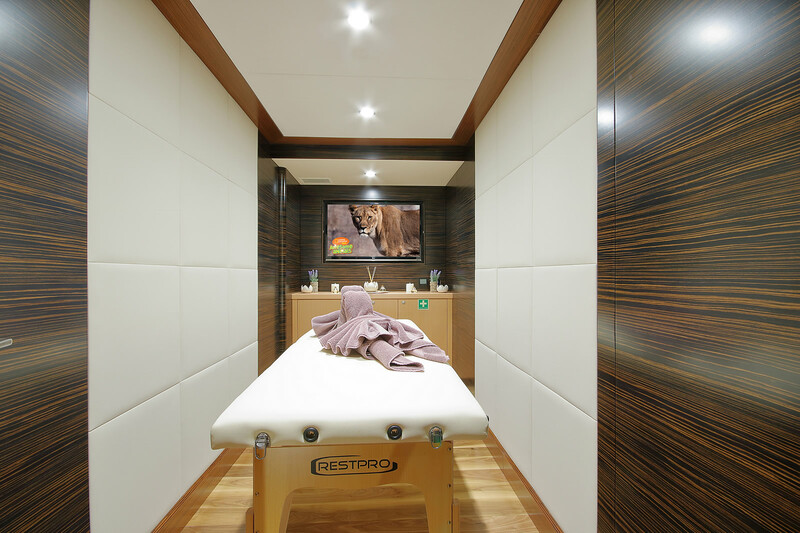 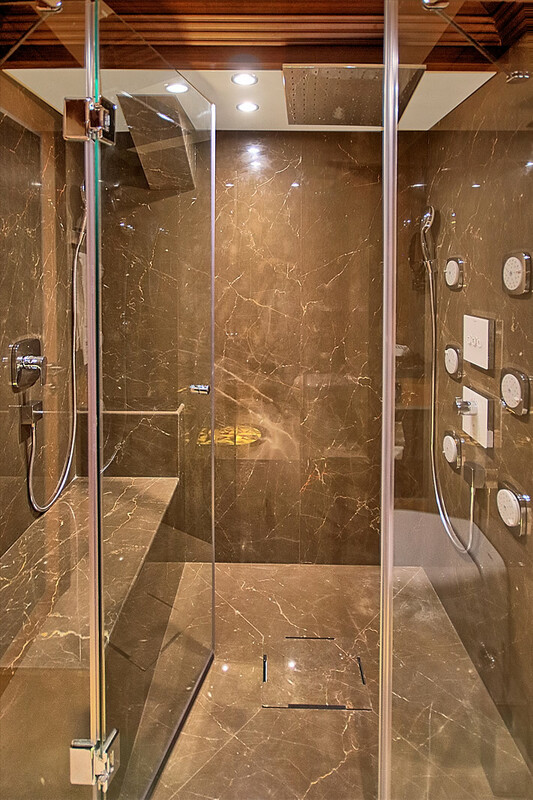 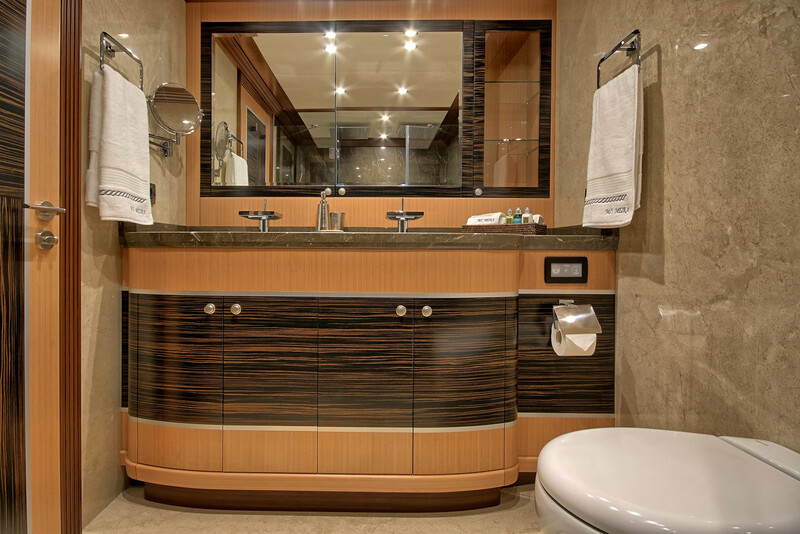 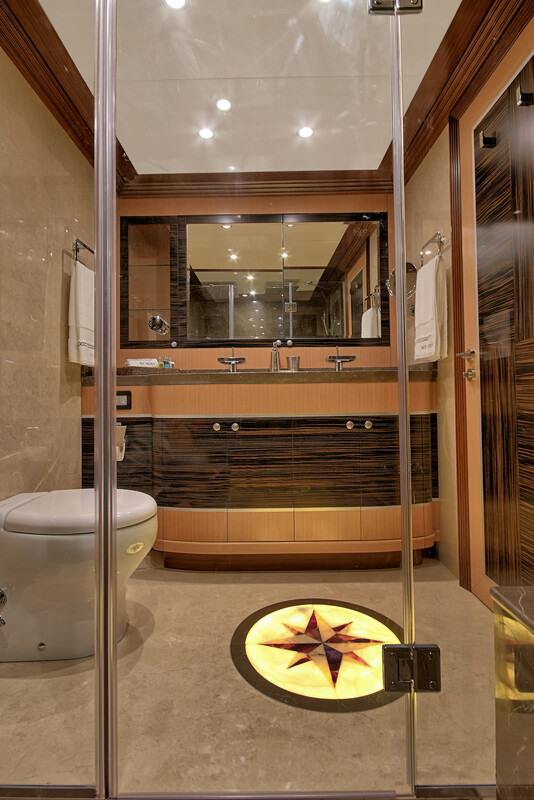 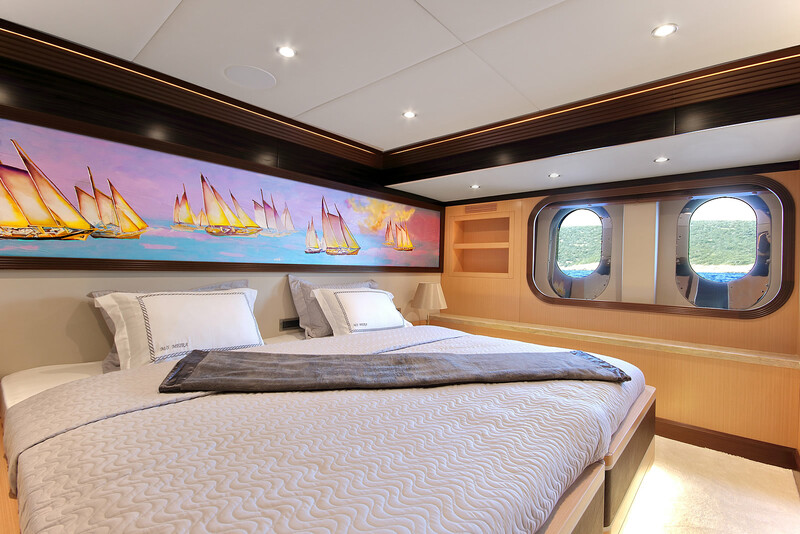 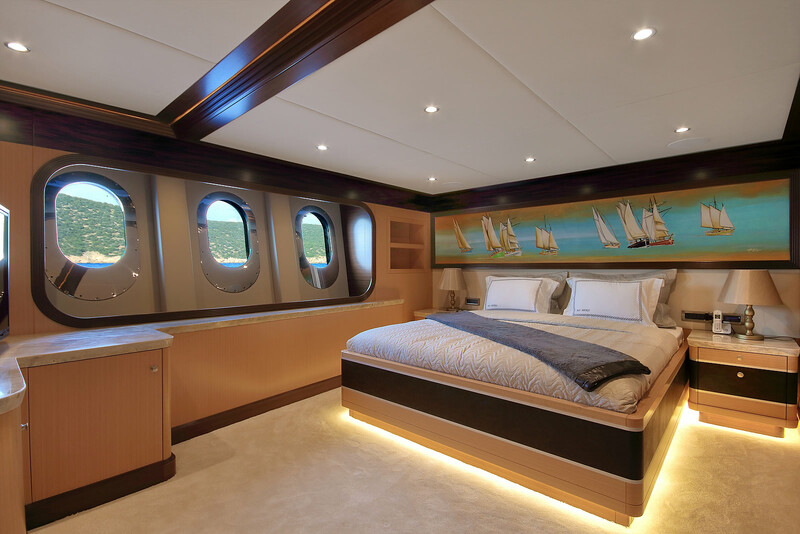 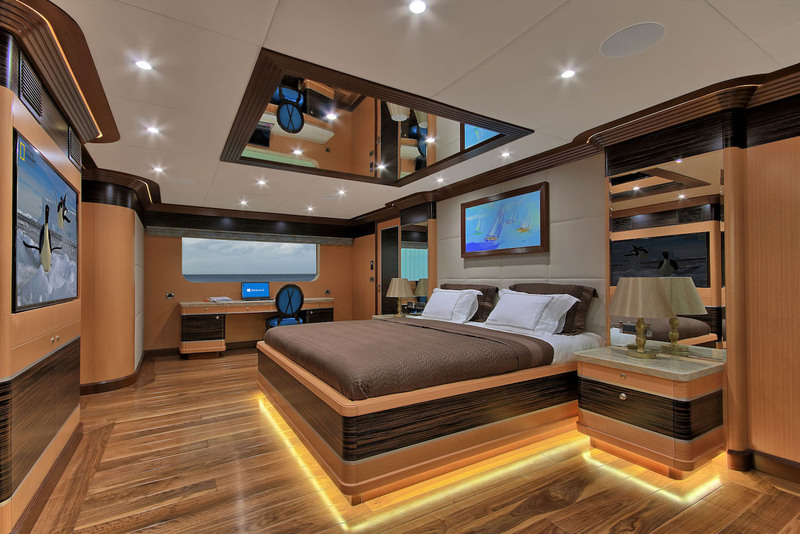 All cabins have en-suite facilities and are finely decorated using Ebony and Aningeria wood as well as high-quality leather and marble. 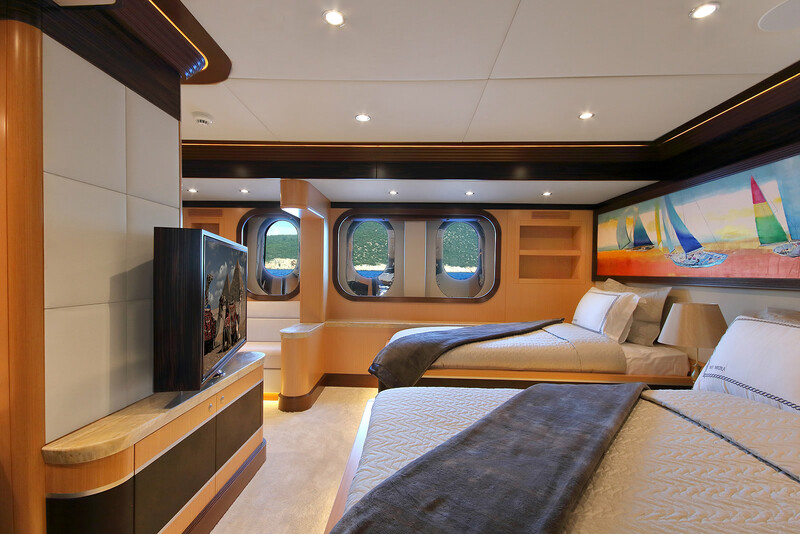 The crew accommodation sleeps 10.